Yesterday I sat in my brand new (used) car for the first time and found it difficult to contain my raging joy. I freaked out. About everything. Dave, who had a few days to bond with the car (let’s call him Marvin), smiled amusingly while I tinkered with all the bells and whistles and peed my pants. In order to put this in perspective, you have to understand that never, in my entire life, have I owned a car where everything in it worked as intended. There have been leaky oil tanks, falling fabric ceilings, windows that couldn’t be rolled down for fear they never go back up, sunroofs that wouldn’t shut, doors that could not be exited through, trunks that could not be opened, and broken gas gauges – which made for many a problematic outing. That doesn’t even take into account issues with body rust, major dents, color mismatches, or the car actually running. The struggle of the poor commuter is both arduous and exciting. I remember one of the cars my family had growing up spontaneously caught on fire. It caught on fire. 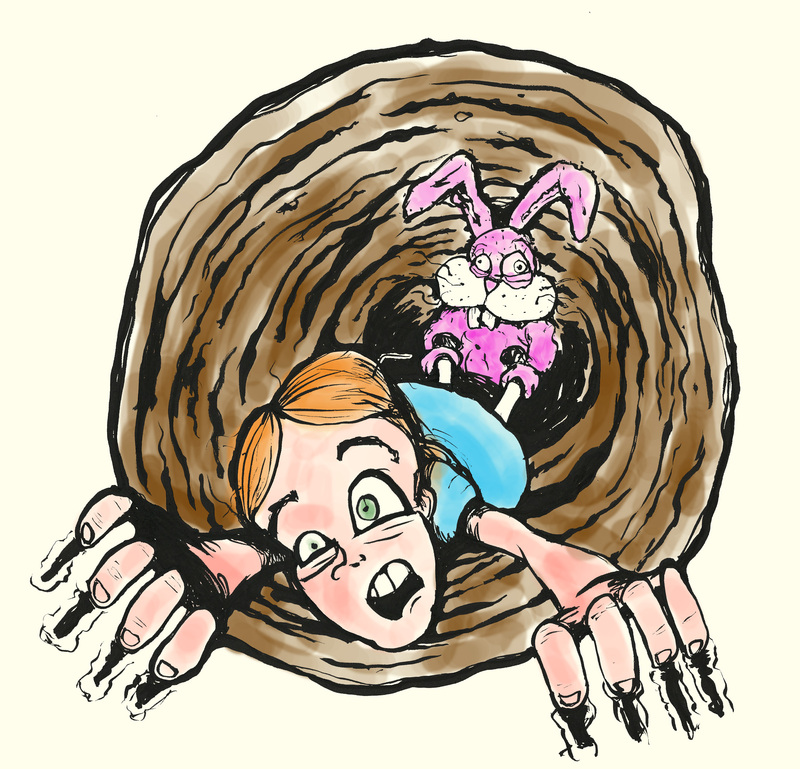 I spent most of my life in fear that a trip in the car to get groceries was willfully plunging toward my death. But now I have Marvin. Marvin has working windows. And lights and a horn and a fuel gauge and a rear defrost and a ceiling that isn’t falling down and a trunk that opens and closes and a sunroof that works and plastic parts that stay in place and I cannot contain my raging, raging joy. When I turned around to check out the row of back seats, I noticed the middle one had a big kid seat belt instead of just a lap belt and tried to abstain from peeing with glee all over the beautiful, relatively unstained interior. Marvin has no major dents, is all the same color, and turns on when I want him to. It’s like I’ve won the Showcase Showdown. There’s a part of me that can’t shake the feeling that something awful is going to reveal itself soon. I’ll be driving it around, singing Pumped Up Kicks, feelin’ like a fly little white girl, and then my front bumper will fall off, or my ceiling will fall and encase me in its flowy fabric, or the entire car will just spontaneously burst into flame. He’s beautiful! I hope you and Marvin will be very happy. Why thank you. He’s flattered. congratulations on your new baby!! yes! now I have a car AND bus know-how. Win. The vibe was a joint venture between GM and Toyota. It’s a toyota under the skin. It should last a long time. I LOVE Marve! He is quite handsome! he works! he really works! I’m so happy. that sounds like a good idea regardless. 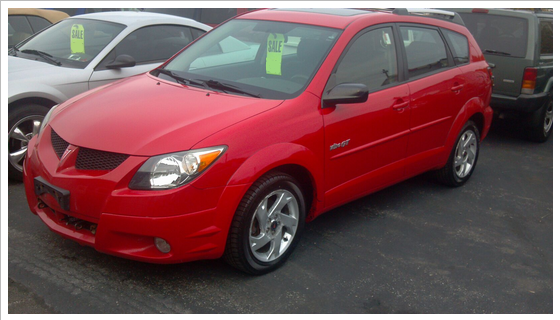 So…weird…Anna’s car she’s had about two years and we both drive all the time is a red Pontiac vibe hatchback….